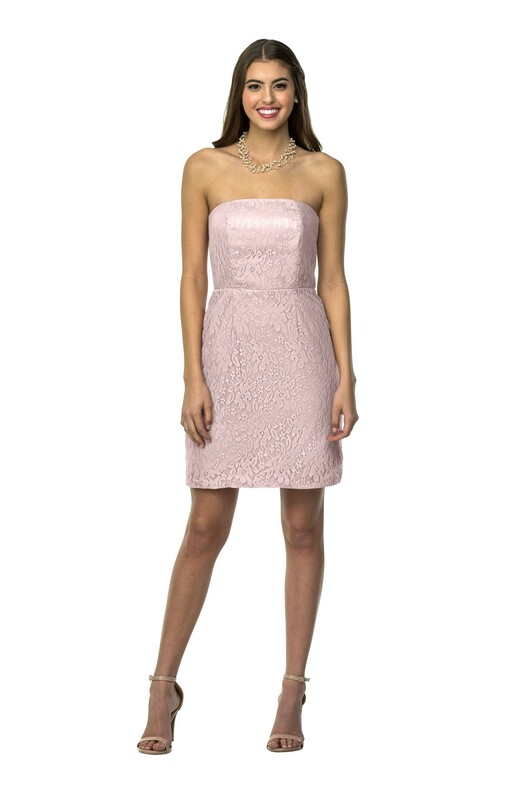 Strapless lace knee length dress. Straight neckline and invisible zipper in back. Strapless lace knee length dress. Straight neckline and invisible zipper in back. Dress comes fully lined. Lace available in 12 colors, dry clean only. Available in sizes 00-24. 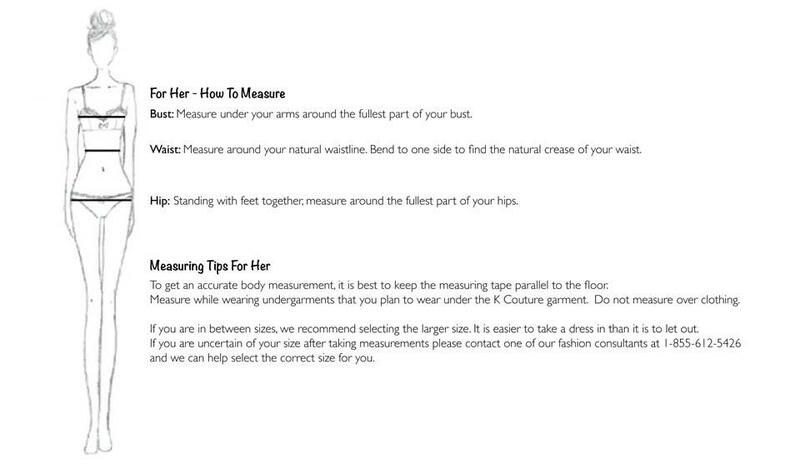 Please see size chart and measurement guide for sizing suggestions.